My husband did not mean to kill Annie Doyle, but the lying tramp deserved it. On the surface, Lydia Fitzsimons has the perfect life: married to a respected judge, mother of a beloved son, living in the beautiful house where she was raised. That beautiful house, however, holds a secret. And when Lydia’s son, Laurence, discovers its secret, wheels are set in motion that lead to an increasingly claustrophobic and devastatingly dark climax. 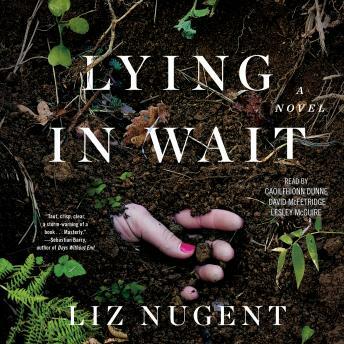 For fans of Ruth Ware and Gillian Flynn, this is “a devastating psychological thriller...an exquisitely uncomfortable, utterly captivating reading experience” (Publishers Weekly, starred review).